There was a time when David Beckham was considered the most famous footballer on the planet. And while his free kicks were the stuff of legend (see: England vs Greece, 2001), it was often his choice of haircut that garnered the most column inches in the press. As a young man on the cusp of my hair growth odyssey I vividly recall admiring Becks’ incomparable mane of greatness; transitioning effortlessly from the floppy boy-band look of the early 1990s, to the hard-as-nails buzzcut he sported during Euro 2000, and culminating in a crescendo with that mohawk in 2002. At a time when my own hair was being relegated to the “bench”, I would frantically thumb through men’s magazines with a look of “if only” as I admired Becks’ latest locks. If I’m being totally honest, I did feel a bit envious. As some of you reading this may already know, after a lot of blood, sweat and tears I managed to win my own personal hair loss war. These days, I am proud to be a well respected adviser to thousands of men faced with receding hairlines. And despite everything I’ve been through, Becks – in my eyes – is still somewhat of a hair icon. That’s why I experienced a mixture of intrigue and shock when photos emerged recently at London Fashion Week of the former footballer looking a little scant on top. Subsequently, the paparazzi then published a series of close-ups of Beckham’s thinning scalp while he holidayed in Miami (above). Sadly for Becks, it goes to prove that male pattern baldness (MPB) does not discriminate. In fact, almost one-third of men (celebrity or not) will experience some hair loss by the age of 35, and half by the age of 50, according to the American Hair Loss Association. At 43, Becks has undoubtedly been one of the lucky ones, holding on to his flowing locks while many of us desperately cling to our last follicles. Unfortunately for him, he looks destined to be a victim of his own success. And as a style icon for millions of men, it must be even harder for him to experience what is a daily part of life for us mere mortals. The good news is that there are more solutions now than there has ever been. It’s a vastly different world from the one I experienced as young man going through MPB in my early twenties. Now, due to some huge strides forward in medical technology, a man in his forties facing a similar predicament to Beckham has several lifelines, to help deal with his thinning hair. Here are three of the most popular options. 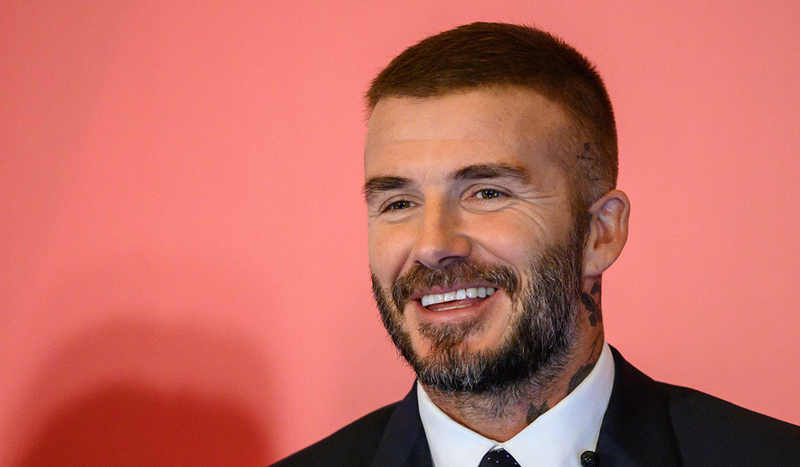 Becks could join thousands of other British males who have taken to Finasteride (sold under the brand names Proscar and Propecia), which can cost anything from £200 to £1,000 a year, depending on the brand and type of tablet you buy. You will need a prescription, but it’s always best to consult a real-life GP before taking the plunge with any medication. A popular option for around 300,000 people globally each year, a hair transplant is no longer just for the rich and famous. If you went for the procedure today, a realistic cost would sit somewhere between £5,000 and £8,000. A relatively new treatment, Advanced Tricho Pigmentation is essentially a hair tattoo that has shown to give the appearance of increased hair density. I’ve seen a few patients who have had this done and I can honestly say it looks remarkably realistic and natural. With so many options like the above available, it’s easy to be sceptical of Beckham’s seemingly regenerating hair. Surely, being a multimillionaire, he has the ability to walk into the best hair clinic in the world and throw some money at the problem. But the bald truth is, at every other stage in Beckham’s career, he’s been a pioneer. Maybe he will be in the hairo-sphere too. Don’t get me wrong, there are a few baldness ambassadors out there already; guys like Jason Statham, Vin Diesel, and Karamo Brown are doing a standout job, bringing some grunt to the baldness game, but we still have relatively few role models. Which makes me think this is a massive opportunity for Becks to step up and lead the way – becoming our very own hair growth evangelist. And while I’m hoping this one day becomes a reality, I’m also more curious to know exactly what he’s been doing to keep his thatch in such great shape in the past few years. I have a few inklings myself, but before I divulge, here are some thoughts from some of the world’s leading hair loss experts. Kobren thinks Beckham could have simply dyed his hair (along with his beard and eyebrows), as this is a common and cost-effective strategy for any 40-something male who is looking to add depth to their hair. But he might have even gone one step beyond that and invested in hair-thickening fibres, which attach to existing follicles to cover the contrast between your scalp and your thinning hair. “They cling, using electricity and hairspray, to your hair fibres, adding density and diameter to each hair [follicle]. They’re pretty good products – if they’re used by people who have a lot of hair, they could really mask a lot of hair loss. They’re very popular,” says Kobren. The good news is that this option is within financial reach for most men. 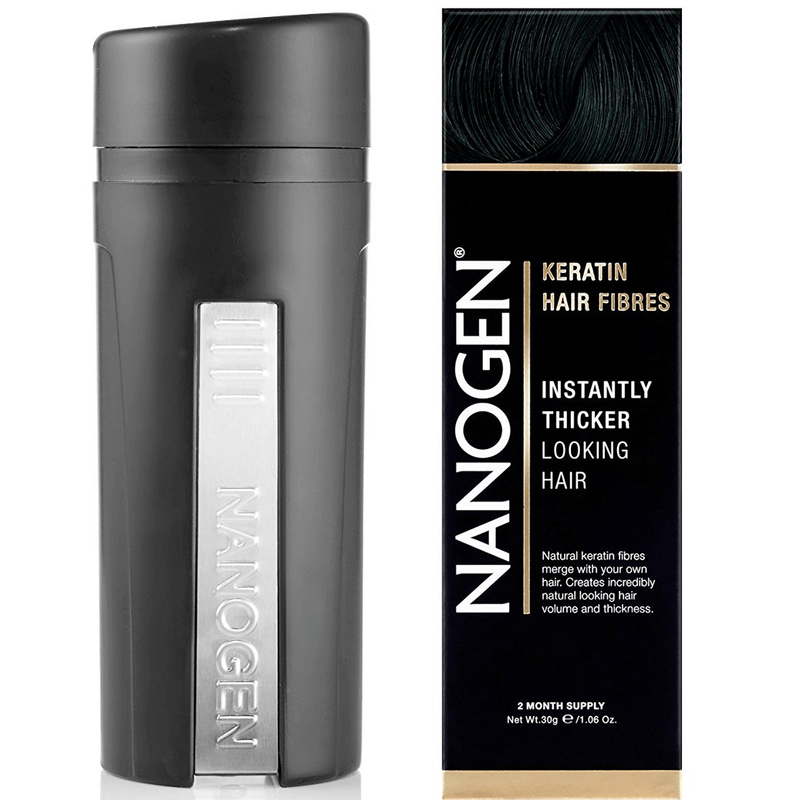 In fact, a tub of Nanogen Fibres (one of the most popular brands) sells for around £18.99 in the UK. Kobren says that these kinds of hair-thickening fibres have been hugely popular for more than 20 years, but it’s only recently that men have fessed up to using them, due to the continued stigma surrounding hair loss. There’s a chance that Beckham has just had his hair cut in a flattering way, says Nadeem Khan, Director of the Harley Street Hair Clinic in central London. More and more frequently, modern hairdressers are using a technique called layering, where the hair is chopped in a particular way to give the appearance of density. Khan isn’t convinced by the social media rumour mill that Beckham has undergone hair transplant: the results of a transplant usually take 6 to 12 months to come to fruition, he explains, and the transformation of his appearance has been far too quick. Personally, I think Becks is combining a thickening shampoo with Nanogen Fibres as the hair looks so fixed and “staged” (see article header image). The giveaway for me is the darker hair colour, which contrasts to his usual brown, grey-ish look. It appears as though Beckham has not used them correctly, or has been ill-advised. When Nanogen Fibres are applied correctly it makes the hair appear extremely thick and very natural. Unfortunately this is only really a temporary solution and I fear that Becks may soon have to bite the proverbial bullet and go for a full hair transplant. Either way, it’s going to be interesting to see how this one plays out as Beckham tries to retain his crown as the world’s most-loved hair icon.